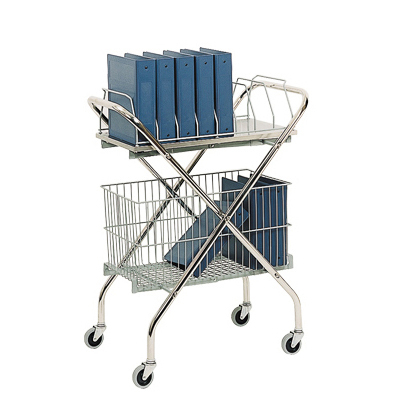 Charts & Carts sturdy utility carts can be used for patient chart binders, medical record folders and supplies. To make rounds more efficient, add either a 6 or 8 space chart storage rack to the top of the utility cart. Add a basket on the bottom to accommodate all types of necessary items. Each utility basket is made of heavy gauge steel wire with no sharp edges. Choose either a 6" basket that will fit on either shelf or a 12" deep basket that fits on the bottom. Contact the experts at Charts & Carts to for personal assistance in configuring your utility cart for maximizing usefulness.